I thought I was doing the right thing. Here's the story: My friends who have the vegetable gardens at the farm surprised me winter before last. I came home one day to find a giant, and I mean giant, plastic container filled with heavy dirt, out of which emanated a bunch of bare sticks. For a couple of days, I couldn't figure out who had brought this heavy object or even what it was. Then, my friend came over, and the minute he drove up, it dawned on me. This was my mother's prized hydrangea. It had been in a corner on the west side of the house, and it got way too much sun. Still, it bloomed faithfully each year. It was the deepest, most exquisite purple. The color looked like some sort of jewel. So, as spring came on here at my house, and the buds started forming, I was ecstatic. My friend offered to plant it, but I said no, I wanted it to remain in Mother's soil so it would be the right color. And it was. Everyone who drove up while it was in bloom oohed and ahed over the rich purple with a few mauve touches as it aged. It was not a re-bloomer, but that was okay. The flowers stayed pretty for at least a month. What I decided to do was to have a box built around the container. Fortunately, I never got around to it. The buds formed this year, but as they began to open, I was taken aback. The flowers didn't look like they would be dark. I thought, well, they'll deepen as they open up. Wrong. The color is decidedly Pepto-Bismol pink. It is hideous. The friend stopped by the other day and shook his head. "It has to be in the ground," he said. He's right. I know I could add aluminum sulfate (is that right?) to the container, but I wouldn't know how much or even if it would work. I don't see how it's going to be possible to dig such a huge hole in front of my chimney, but my friend said he could do it. So, it's going in the ground next week. It won't help the color this year, but surely the acidity of the soil will bring back the dark purple. I hope if we do it now, the elements will get to the roots, and Mother's hydrangea will be back to its old self by this time next year. Now, about the photograph above. That is 'Nikko Blue'. 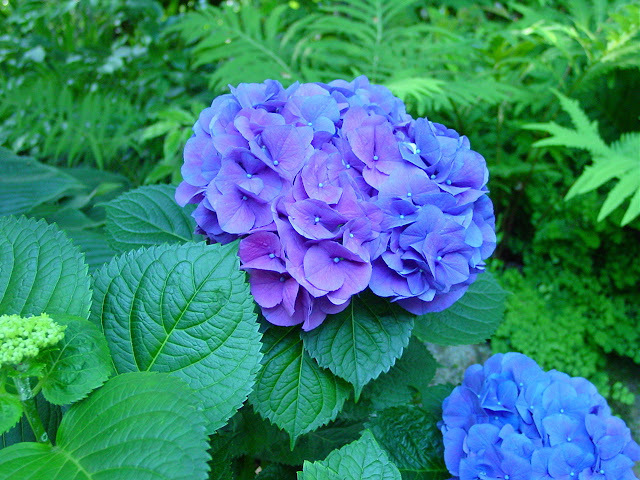 I chose this particular hydrangea because the color is so stunning, and I wanted to get your attention. 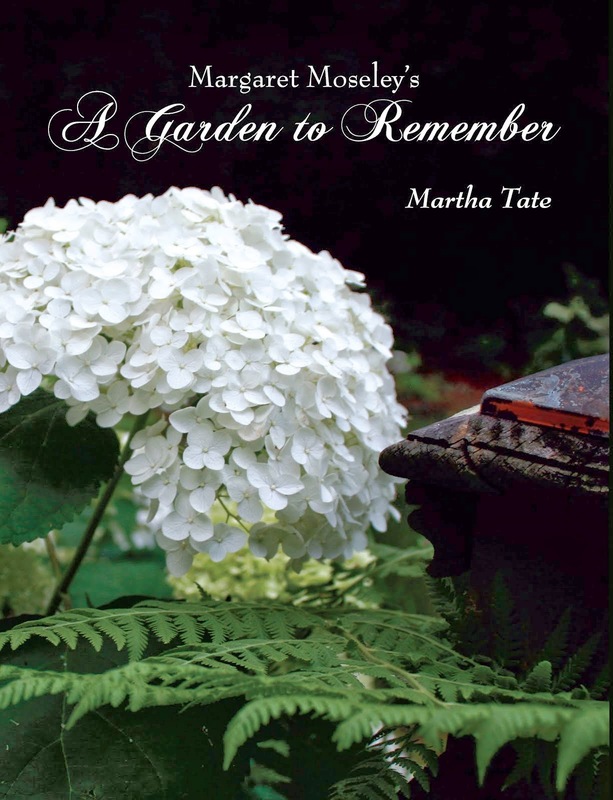 The American Hydrangea Society's annual tour is this Saturday, June 8, from 9:00 a.m. until 5:00 p.m., rain or shine. There are six fabulous gardens, and if you don't have a ticket, you can purchase one at the first garden (I've seen it - worth the price of the ticket if you only get to this one). The address is 4220 Harris Trail, N.W., Atlanta 30327.
with fun plant raffles too! *This is a good deal, as you will get to come to my lecture on October 22! ** Well, I don't know about wonderful, but I have some good photographs of hydrangeas.